Join us for a fun round of Texas Scramble golf at The Falls Golf Club on Friday, July 15th. Enjoy networking and socializing with industry and community friends, excellent golf and on-course activities, with superb food and opportunities to win challenges and prizes. There will also be great silent auction prizes donated from our community and industry partners, so bring your wallet as all proceeds from the auction go to the Chilliwack Firefighters Charitable Society. If you are interested in joining, please fill out the attached form form along with your payment by July 6th, 2016. 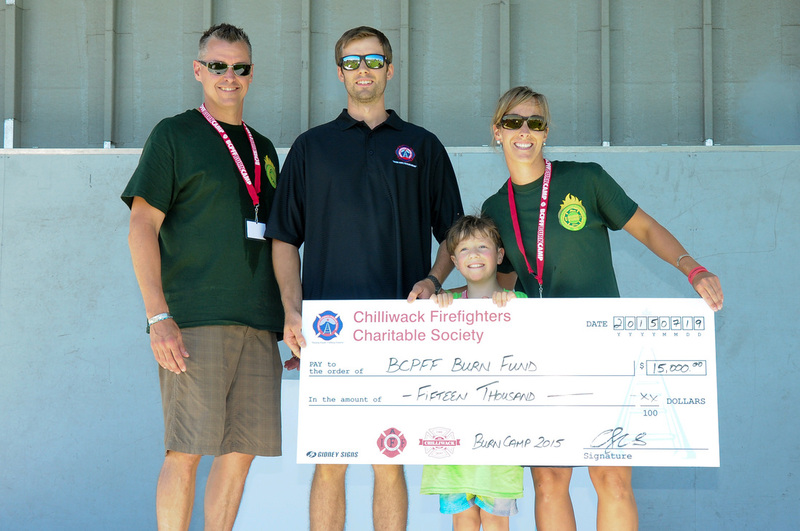 Please make cheques payable to the Chilliwack Firefighters Charitable Society. Dress up, let loose, and have fun at our upcoming Halloween party on Saturday, October 24 at Evergreen Hall! Great Live DJ music, $4 drinks, and great appys and pizza are included too! On top of all that, $1,000 in prizes are available for best costumes! 19+ only. Tickets are only $25, but the cause we are working toward is priceless. 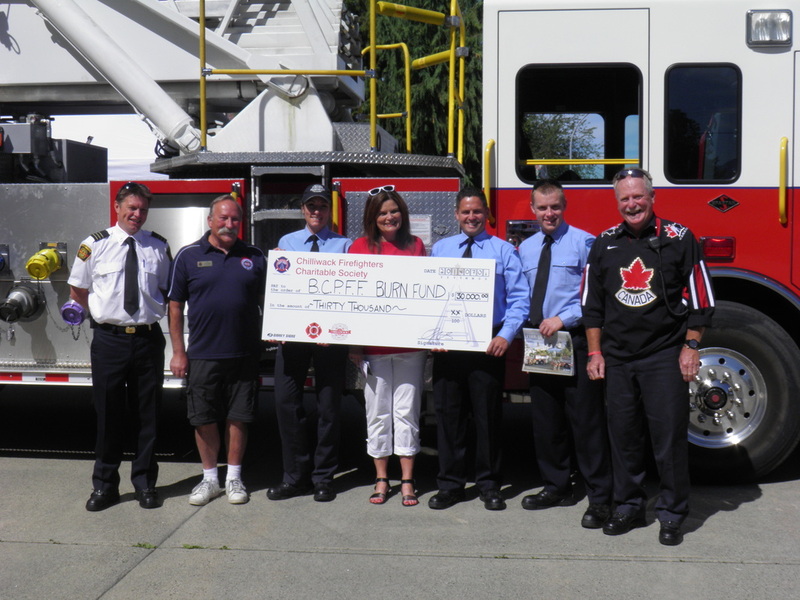 Our major fundraising goal is to pledge $75,000 towards the new BC Burn Fund Centre. Follow this link for more info. You can buy tickets from our web site or at the Main Office of Fire Hall 1 (at the corner of Young Road and Cheam Avenue) between the hours of 8:30 AM and 4:30 PM Monday through Friday. Any remaining tickets can be bought at the door on the night of the party. If you have any questions, send us a message through our Contact page. Calling all ghouls, goblins, and ghosts, the Chilliwack Firefighters Charitable Society will be your host at our upcoming Second Annual Halloween party on Saturday, October 29 at Evergreen Hall! Great Live DJ music, $4 drinks, and great appys and pizza are included too! On top of all that, $1,000 in prizes are available for best costumes! 19+ only. Tickets are only $25, but the cause we are working toward is priceless. Our major fundraising goal is to pledge $75,000 towards the new BC Burn Fund Centre. Follow this link for more info. You can buy tickets online or at Fire Hall 1's office (at the corner of Young and Cheam) between the hours of 8:30 AM and 4:30 PM Monday through Friday. If there are any tickets left, you can buy them at the door on the night of the party, but it's best to buy your tickets early so you don't get burned! Get your costumes ready! Join us for a night of spooky fun at our 3rd annual Halloween Dance Party. Live DJ music by Mint entertainment, food by MR MIKES Chilliwack, $4 drinks, door prizes, $1,000 in cash prizes for best costumes, and more! 19+ only. Since the event is just a few days away, we aren't selling tickets online any longer, but you can still buy them in-person at the Main Office of Fire Hall 1 (at the corner of Young Road and Cheam Avenue) between the hours of 8:30 AM and 4:30 PM Monday through Friday. If available, any remaining tickets can be bought at the door on the night of the party. Hit the links this June for a great cause! The Ann Davis Society and The Chilliwack Firefighter's Charitable Society present: The 2014 Charity Golf Tournament for Children's Programs on Saturday, June 21, 2014 at Meadowlands Golf and Country Club. $99 per person includes a round of golf and a great buffet dinner. 1 pm "shotgun start". Pre-registration is required. For more information, call 604-792-2760 or 604-792-3116. Please help us support this great cause! This December, members of the Chilliwack Fire Department will be selling our Charitable Society Calendars all around town at various locations such as: City Hall, Fire Hall 1 on Cheam Avenue, Cottonwood Mall, Price Smart, and Walmart. Thanks to our sponsors, the entire proceeds of our calendar sales goes to charity. Since 2010, a member of the Chilliwack Fire Department has put on an animated Christmas Light display in sequence to music on Diamond Crescent. The show is back again this year with some new songs to get you in the holiday spirit. For more information, visit www.diamondcrescent.com. The Burn Awareness Week program was developed by the Burn Fund to teach children from kindergarten to Grade 7 to be responsible for their own safety. The program runs during the first week in February, ending with a colouring contest where the kids can win prizes. In addition to giving financial support of $6,500, Chilliwack firefighters volunteered their time to attend local schools, delivering lessons to the kids. This picture shows the winners from Chilliwack during our 2011 contest.